Yet another day with another old gem found! This is a Moto concept from five or six years ago, called the Motorola TRACR, or at least that was the project name. It's quite a cool project that would fit today's market. This is a sports/fitness tracking device which was designed for sports teams. 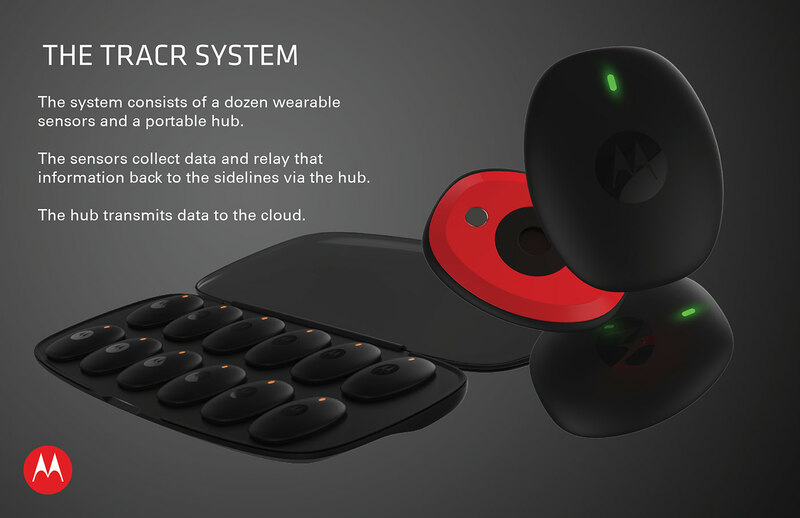 In many ways, this is a mix of the 2011 MotoACTV smartwatch and some of its accessories it brought, along last year's Motorola Coin, which was a GPS and Bluetooth tracker. Take a look. The device as per its renders is described as a "Sports tracking system with integrated cloud based services". 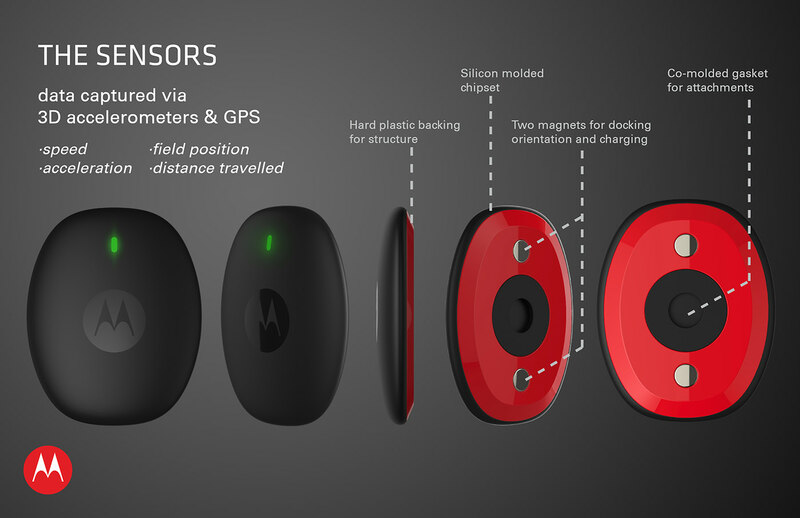 It has the round shape of a Moto PEBL with the Motorola logo in the middle and a LED notification light. The device would charge thanks to two magnets in its back, which would also let you charge the device (similar to the MotoMods pins). The pictures also mention it tracks speeds, acceleration, distance travelled and field position. You can see from its red and black design that this would have fit into the MotoACTV family very well. There's also an explanation of its charging and data collecting system. 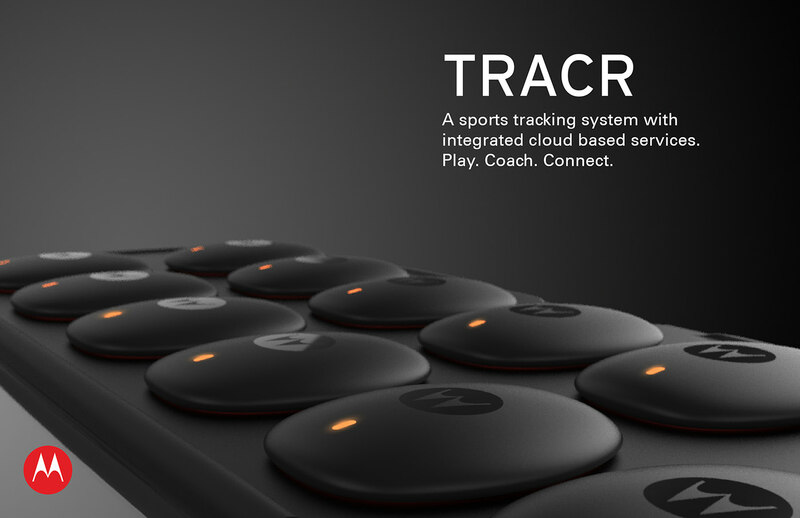 It tracks everything, and then when you connect it to the dock (12 devices at a time, since it's designed for sports teams) it send all the relevant data to the cloud. Awesome concept, isn't it? Let us know what you think in our social media pages and stay tuned for more awesome Moto stuff coming.